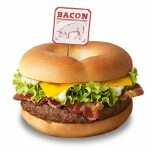 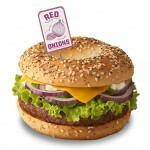 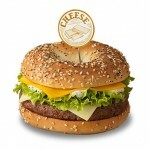 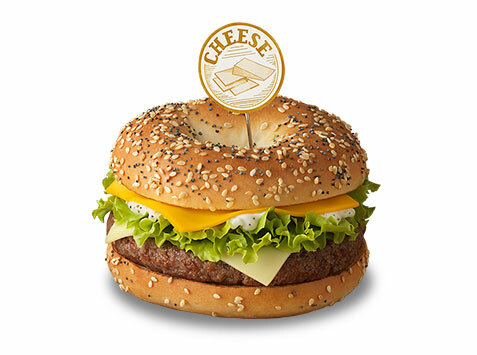 For a limited time at McDonald’s France, you can get burgers with bagels-for-buns as part of their "Bagel Stories" campaign. 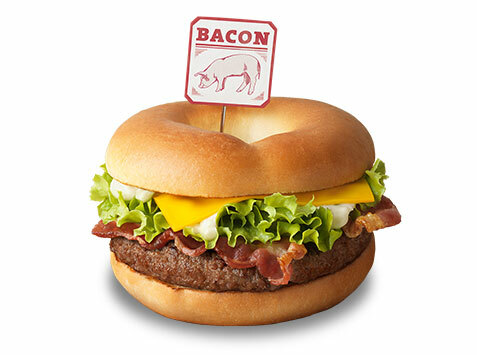 The burgers come with lettuce, cheddar, and some sort of creamy sauce, in three variations: Cheese (with Emmental), Red Onion (with sliced red onion), and Bacon (with two slices of bacon). 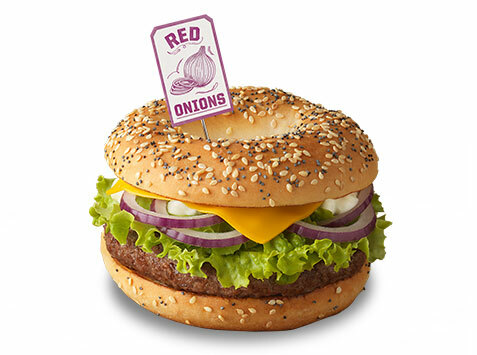 Two burgers will be available each week until the end of December (judging from the availability dates on the website), with Bacon being offered every week, Cheese the weeks of December 5 and 19, and Red Onion the weeks of November 28, December 12 and December 26.